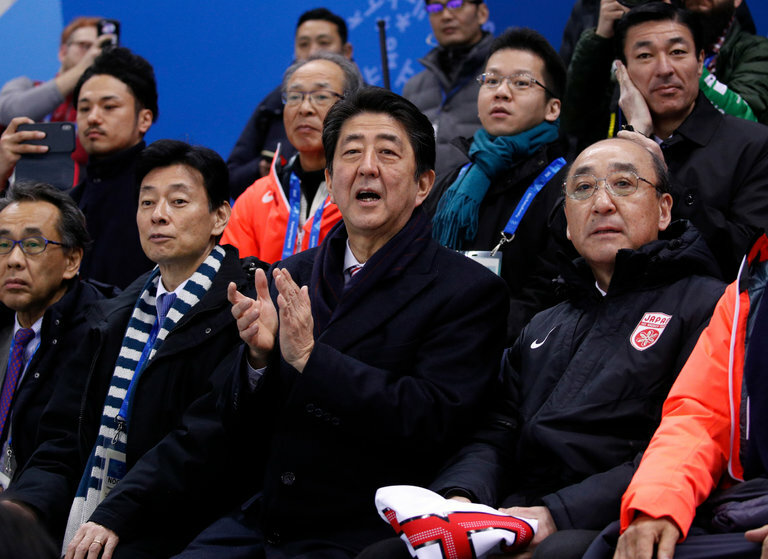 Prime Minister Shinzo Abe of Japan at a women’s hockey game between Japan and Sweden at the 2018 Olympics. SEOUL, South Korea — The American network NBC has apologized after one of its analysts drew anger for a comment during coverage of the Pyeongchang Olympics that seemed to gloss over South Korea’s painful history with Japan, its former colonial master. The remark immediately ignited outrage in South Korea, the Olympic host nation, where resentment of Japan’s harsh early 20th-century annexation of the Korean Peninsula continues to simmer. Just last month, Mr. Abe’s attendance at the Games was in question after tensions escalated over Japan’s refusal to reissue an apology for the Japanese military’s role in forcing Korean and other women to work in military brothels during World War II. Soon after Mr. Ramo’s remark, an online petition began to circulate demanding an apology from NBC. By Sunday, more than 8,000 people had signed it.